Let’s explore the MARS and VENUS of Angel Investing. Are there differences in lenses between men and women in investing? 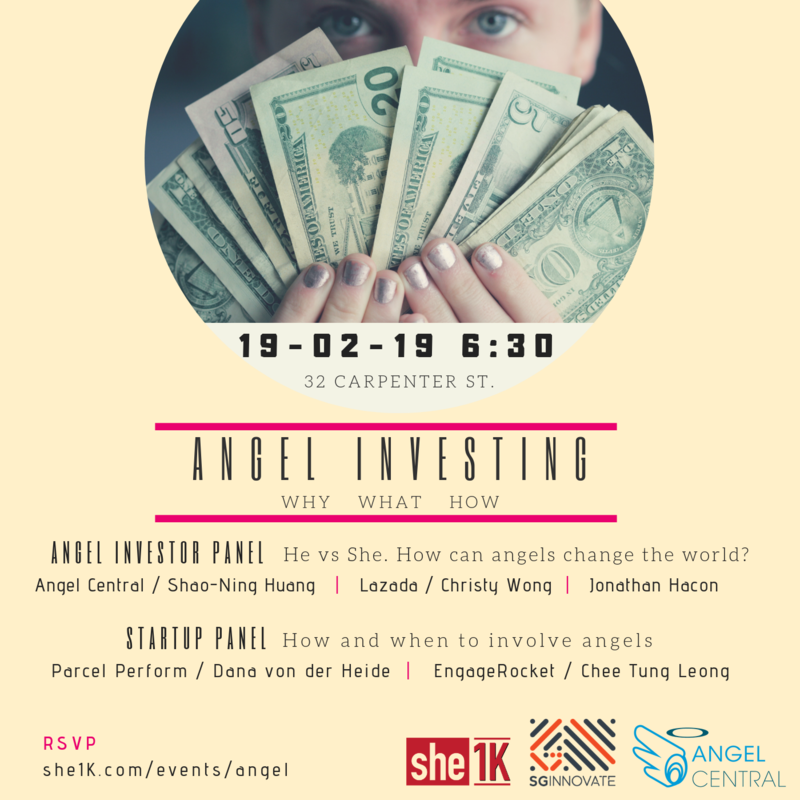 SGInnovate partners with she1K and Angel Central to bring you not one but two panels. Our aim is to get more females to up the game of angel investing and also to share insights as to how corporate men and women could brace their career with angel investing to stay at the edge of innovation and at the same time potentially multiply their personal wealth in magnitudes not possible before. We have invited startup founders who begun their journey with the help of angels. Their experience can help other startups find their way in the amazing eco-system of funding, turning ideas into reality. Registration starts at 6:30pm with networking and dinner.